Science education reform can seem a daunting task to high school science teachers. So, you might ask, why should I be bothered? The answer is that today’s students simply do not have the skill sets necessary for life in our global economy. 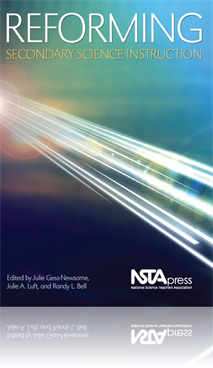 Reforming Secondary Science Instruction offers detailed advice for changing your methods of teaching so that students are prepared for life and work. Follow along as your fellow teachers learn about inquiry, implement change strategies, try out innovative instructional materials, build professional learning communities and partnerships, use data from student assessments, and address the needs of linguistically diverse learners. Every chapter offers you the opportunity to assess your own teaching techniques and find room for improvement. Whether you are early in your career or a seasoned professional, Reforming Secondary Science Instruction will help you craft a workable plan for giving your students the tools they need to succeed beyond your classroom.